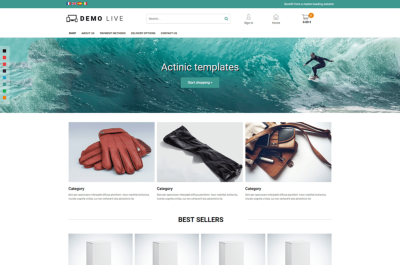 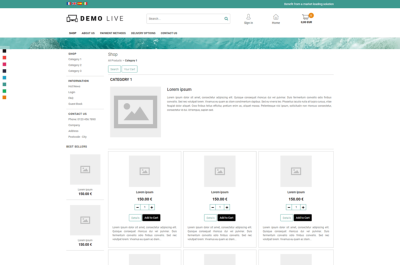 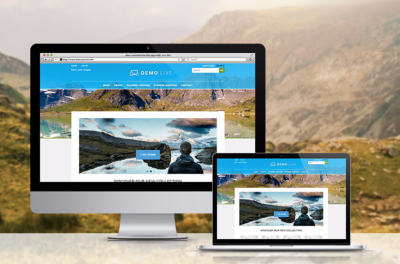 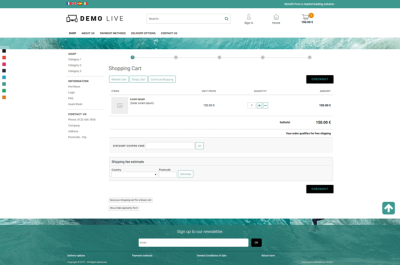 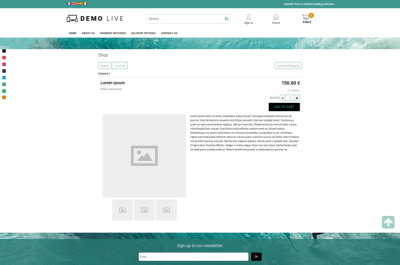 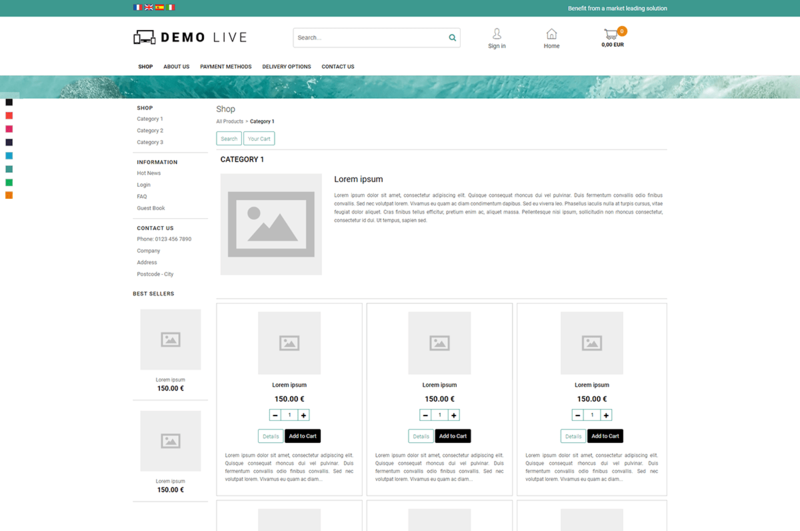 By choosing the Santorini template, in the colours green and white, you can start selling with a ready-to-use customisable and adaptive e-Commerce design. 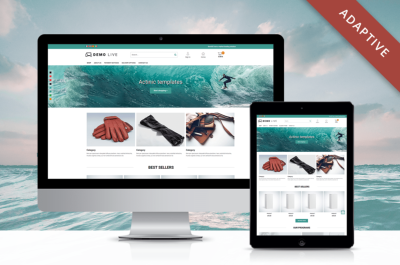 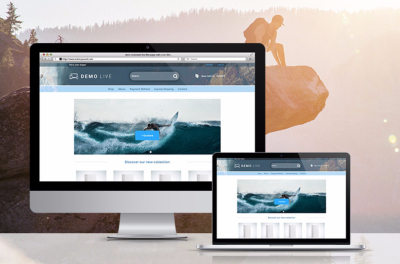 Your site's pages adapt to any screen and incorporate all the best practices for a sports and leisure e-Commerce site, to quickly develop your online turnover. How does it work? Our experts accompany you in choosing and installing the adaptive Santorini design template. 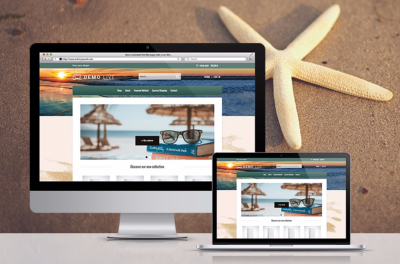 You don’t need to have any technical skills as our design experts install the Santorini design and customise it by integrating your logo and background image. 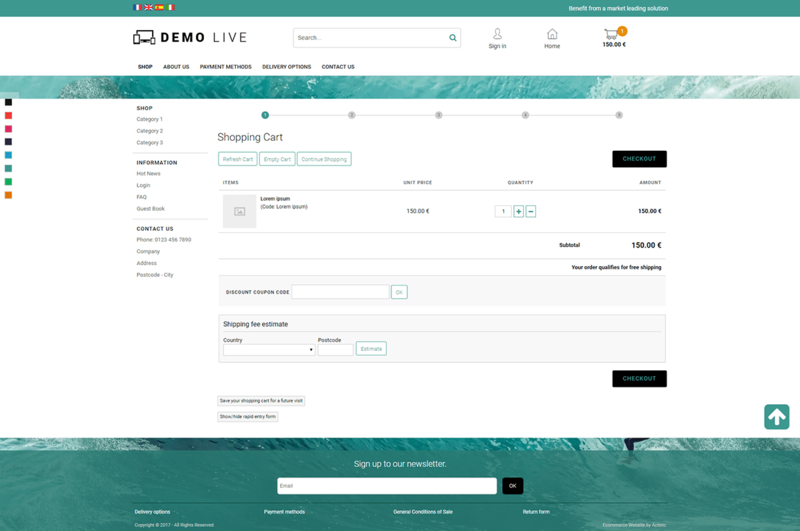 You will be notified when your new design goes live after our experts have tested and approved your beautiful new storefront!